Matt: I sat down to try this one out with my brother one morning late last year, and proceeded to play it for almost four hours. For a box so tiny and silly and simple, it amazes me that so few deck builders have managed the same draw as this little gem. Quinns: It’s very strange. You get all the satisfaction of Dominion without having to think at all. You got attack ships? BANG BANG BANG your opponent discards some health cards. Got money? QUICKLY GRAB GRAB GRAB the ship with the funniest name. No cards left to draw? MMMMM SHUFFLESHUFFLESHUFFLE your lovely little shiny discard pile into a shiny shiny deck. Quinns: For six years SU&SD has been recommending Days of Wonder’s Memoir ‘44, and for six years old salts of the board gaming scene have been telling us that Commands & Colors: Ancients is the superior game. Can you blame us for choosing the year 1939 over 400 A.D., or for choosing the satanic belch of artillery fire over the heavy rain of ancient archers? Of course not. 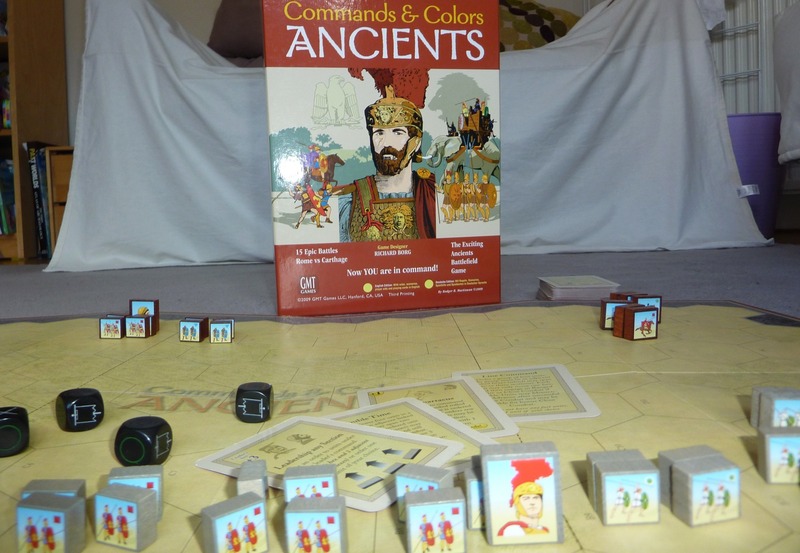 Can you blame us for not having bothered to try Commands & Colors: Ancients? Er, yes, you probably can. I blame that egregious name. If this game had been called Command & Colours, we’d have been all over it. Paul: This is a city-building triumph, a game stuffed with coy and canny ideas that come together to form such a cohesive whole. There’s the quality of your city dropping as it gets more crowded, the importance of proper planning when you consider the placement of factories or highways, or the huge bonuses you can reap if you drop a prime piece of real estate at just the right moment. Suburbia is full of so many excellent elements that click together like gold-plated Lego bricks. 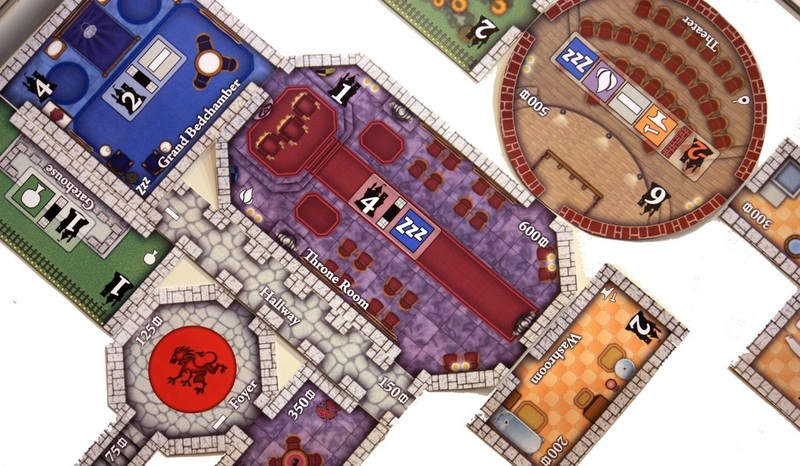 Quinns: I’m sad to see that the Castles of Mad King Ludwig is higher on this list. Suburbia’s less flashy, but I think it’s an infinitely more satisfying game. Quinns: On the subject of the theme, suburbs might seem dry as dirt on toast when shop shelves heave with games about dungeons and murderers and spacecraft. But by being set in our own world, Suburbia fosters storytelling and is often funny. When you put that slaughterhouse next to a school, you’re going to laugh. Or the first time Paul and I played, he placed a lake on his turn then his population hit a speed-bump and nobody liked his suburb anymore. And Paul joked that it was because they have a nice new lake! And then immediately pulled a body out of it. I love this game. I really do. 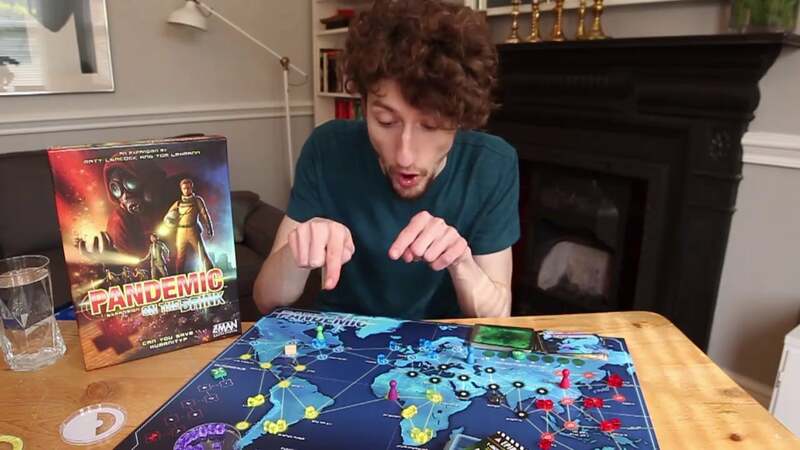 Matt: Nations is a game that provides all the chills and thrills of running a country in which you haven’t got enough food, or enough books, or enough famous ladies. Despite looking like a sad dog on a grey day, the mechanics are surprisingly vibrant and fun, and there’s something simple but very exciting about having this massive deck of historical things you can buy, whilst realistically only being able to choose a few of them. It’s like a gigantic library where you’re only allowed to take out three books, and then you’re expected to build a functioning city with them. You did take out hardbacks, right? Oh god, this analogy doesn’t seem sturdy. Quinns: While it doesn’t have seductive art, it does have heart. It wants you to play this game for decades to come. There’s a whole extra deck of cards you’re meant to play with after you’ve played a couple of games, and a whole extra deck of cards that the game treats as if they’re radioactive or something – that you’re only meant to touch when you REALLY know what you’re doing. Nations is almost – but not quite – one of those games where you finish it after two hours, total up your victory points, and you don’t really care who wins. But you do. You do care. But you almost don’t! But you do. 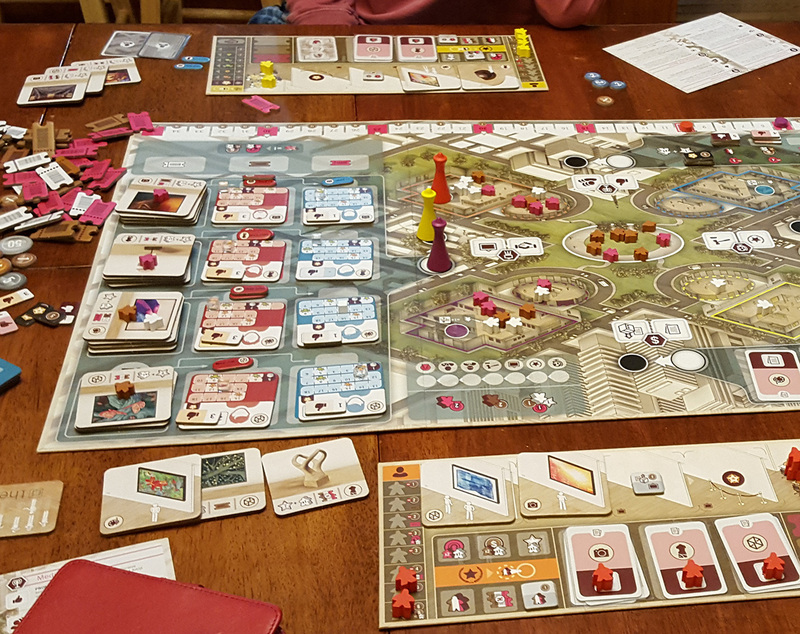 Paul: Oh boy, The Gallerist is heavy in both senses of the word. It’s deep and engrossing, but also something that could seriously injure anyone it falls on. Or who tries to lift it. Yet it’s not as intimidating as you might think and there’s a real pleasure to be found in discovering and promoting artists, as well as in watching the value of their art gradually rise until you decide you’re done with it, sell it and move on. I never found The Gallerist compelling, but I did think it was a great concept for a game, stylishly presented. Quinns: You know, that’s how I feel about the other collaboration between designer Vital Lacerda and artist Ian O’Toole that we’ve played, which is Vinhos Deluxe. What a concept for a game! What wit! What presentation! And if it were the only game in my collection, I’d play it every month and fall head over heels in love. But as just one game in my collection, these big box beasts are too unwieldy to regularly get to the table. Paul: Oh no! It’s the Rosenberg game that I haven’t played. Everyone is going to be so mad! And now I’m mad at myself! I’m mad at myself for not enjoying all those monks, for not building a slaughterhouse, for not making all those ceramics! Will I like this? Probably! The question is just going to be how much?! Also, inevitably, I’ll be terrible at it, but I’ll want to keep playing anyway. Oh, Uwe! Paul: Oh my goodness, I have to admit that I’ve never seen a copy of this anywhere, ever, nor can I say it’s something I’ve ever felt the desire to seek out. The art feels too blunt and the game too straightforward. I keep thinking there must be more to this, but every time I read another review or watch another video about it, I feel absolutely no emotions inside. Sorry about that. Quinns: I think it’s fair to say that team SU&SD’s interest in deckbuilding games is a resource that was irresponsibly exploited and now it resembles a salty, shrivelled wasteland. I couldn’t have less of an interest in this, or Star Realms, or Clank!. If I really want to play a deckbuilder, I’ll play Trains. I don’t even know why anymore. I don’t know why that’s the deckbuilder I settled on. Paul: Shh, shh, it’s ok. Look at this Normal Train card. Quinns: It’s a pleasant surprise seeing such a weird, difficult game as Alchemists in the top 100, but you know what? I don’t think it’s an inaccurate placing, either. Paul: This is such an acquired taste, but such a good acquired taste, that it needs a suitably respectful nod. Quinns: Alchemists won me over. It’s funny, clever, polished and different. 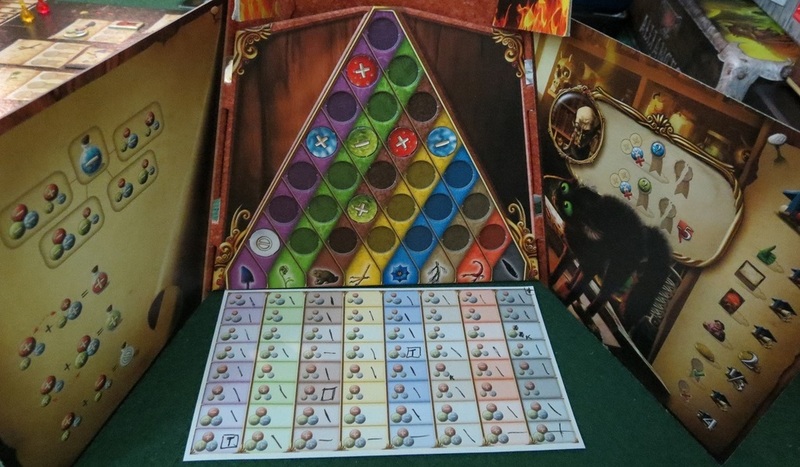 Just like Tzolk’in, Czech Games’ previous spin on worker placement (pun not intended), it’s a fantastical contraption that’s clearly been playtested and refined by very talented people. But just like Tzolk’in, the caveat I’d add before people rush out and buy this box is that I don’t know how much I’m actually going to play it. It’s not simply that playing Alchemists or Tzolk’in feels like having my brain run through a cast-iron laundry press (a not at all unpleasant sensation). 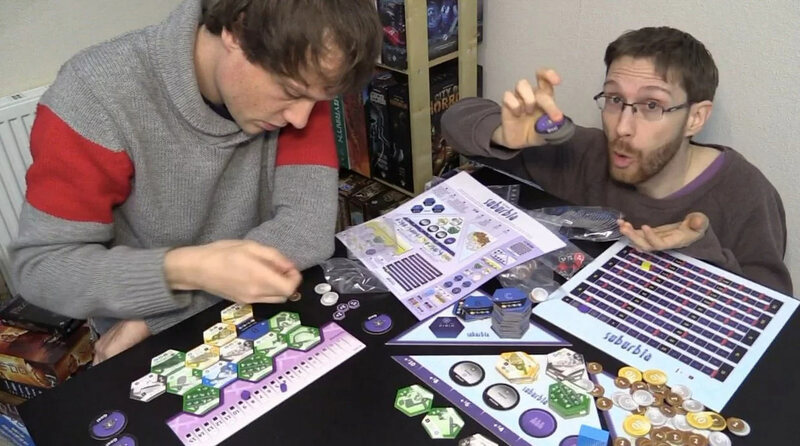 It’s that these are big games with big rules explanations where so much of the appeal comes from them being unlike anything you’ve played before. Paul: It’s a heavy one and, again, it has that Czech Games thing where the rules aren’t over-complicated, there are just a lot of little exceptions. Footnotes, if you will. 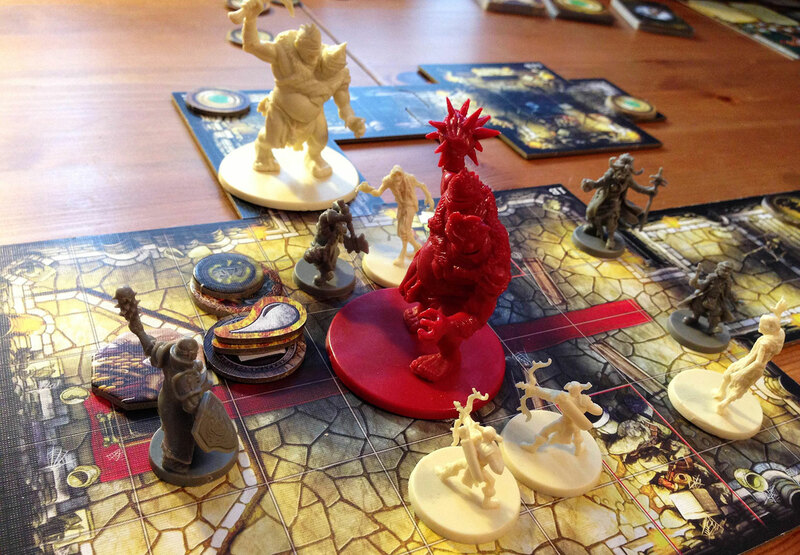 While it isn’t the gigantic, trembling appendix that is Mage Knight, it does kind of remind me of that, certainly in that I want to again say that this is “A gamer’s game.” I want to tell everyone that Alchemists is great, but best for those who want to wriggle into an almost cruelly tight, constantly challenging experience. That doesn’t mean other people can’t enjoy it too and my games of it have certainly featured players of different levels of board game dedication riding comfortably in tandem, but… While lots of people like hiking, not everyone wants to haul themselves up a mountain all the time. And I’m the guy who really likes going up his local mountain. Quinns: Oh jeez, I haven’t played this game in ages. How this aging, nigh-neolithic worker placement game ranked as the 72nd best game of all time? Paul and I couldn’t even agree if it was any good back in 2011. Paul: Oh God, Quinns, I think I’ve sussed it. What if all the ratings are from years ago, when Stone Age was fresher and faced less competition? What if… people never revisit their ratings?! OH NO. Paul: Pah. Then again, maybe I’m not its best defender, because I like it but I don’t love it and I do think it’s slightly flawed. One of the points of the game is to keep your tribe fed every turn, otherwise you lose points, but I’ve seen players exploit the game. A starving tribe is still a working tribe, and a player can spend the entire game putting people to work instead of gathering food and potentially earn more victory points from being apparently self-destructive. That’s not right. Matt: Gosh on a bicycle I really need to just pick this one up. Yes, Cyclades is probably better. Yes, I’ve got INIS and it’s possibly the best. But there’s something about riding through the desert with a giant scorpion and murdering everyone you encounter for fun that tickles the exact part of my brain that nothing else since has ever come close to. A wonderfully vibrant little war game, this one. 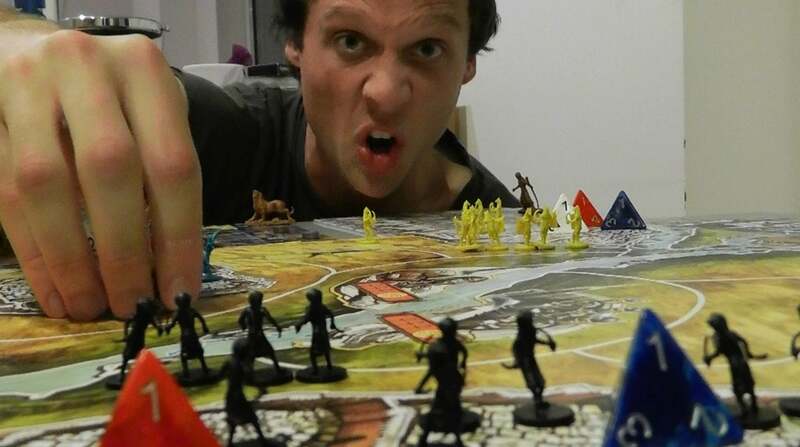 Paul: KEMET! Kemet, with its movement mechanics that stop everyone from playing overly defensively. Kemet, with its huge selection of special powers and excellent units. Kemet, with its fine art and superb setting. I don’t care if Cyclades is better, or if this is better, they are both epic meetings of history and mythology that you can splash across your table so that you and your friends can feel MIGHTY. Quinns: If you don’t play games very often, Cyclades edges this one out. 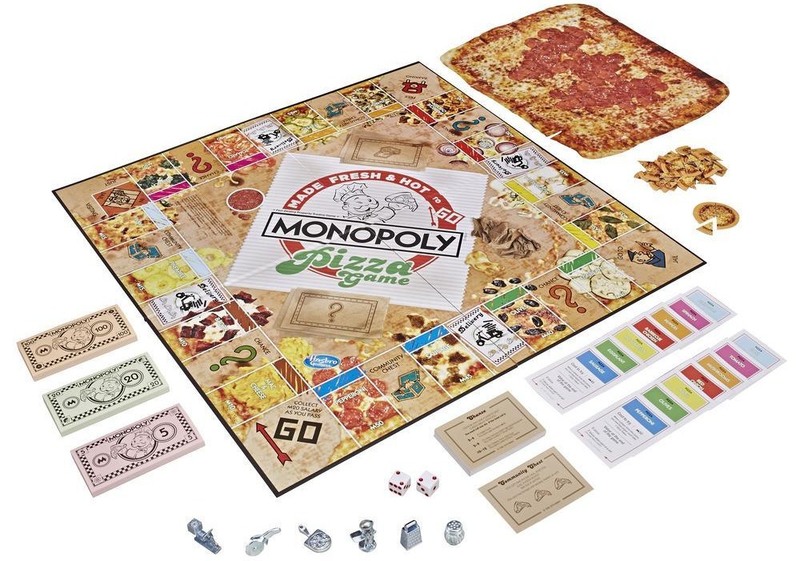 It has half the rules, it’s very elegant, it’s great from the first time you play. Kemet? It’s more of a gamer’s game – closer to the nerdy end of the spectrum. But if you’re competitive – if you just want something to beat your friends with, if you want loads of systems and possibility, this game is just entirely awesome. Matt: As the years go by my love for Game of Thrones continues to blaze unapologetically, and for that reason I really wish this game was just better. It isn’t bad by any measure, but it’s far too fiddly and goes on forever. This is one of those games I’d really love to see a fresh edition of – drill out some of the fluff, tighten up the corners. This one and Battlestar Galactica for me are two good games held aloft a little too heartily by the overwhelming power of The Brand. Paul: Oh yes, he’s so absolutely right. If it was just a little tighter, a little faster. Remember how some of the show’s plotlines really roll forwards, while others linger far too long? This game can feel so much like the latter. Paul: The most important thing to remember is that A Game of Thrones is A Game of Dirty Politics and it’s a great chance to enjoy some scheming. Paul: We’ve not reviewed this one! 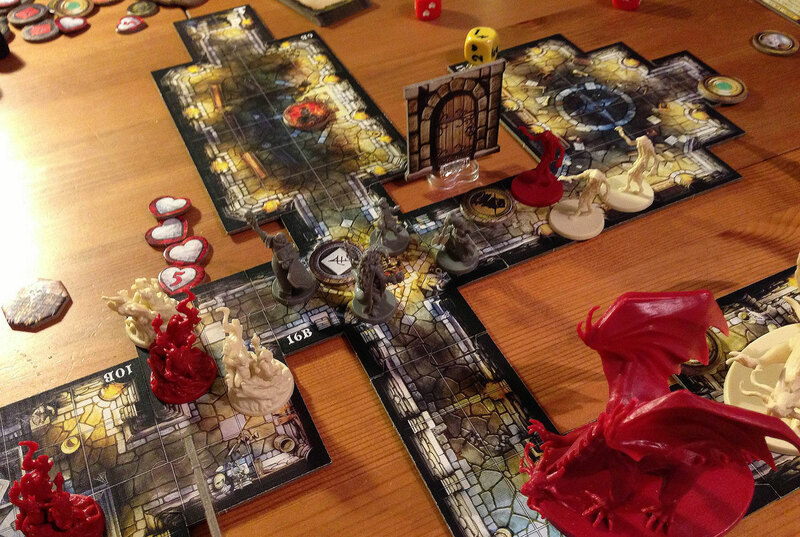 I have to admit a prejudice here, that prejudice coming from the feeling that Arcadia Quest was always just an anime version of Descent. 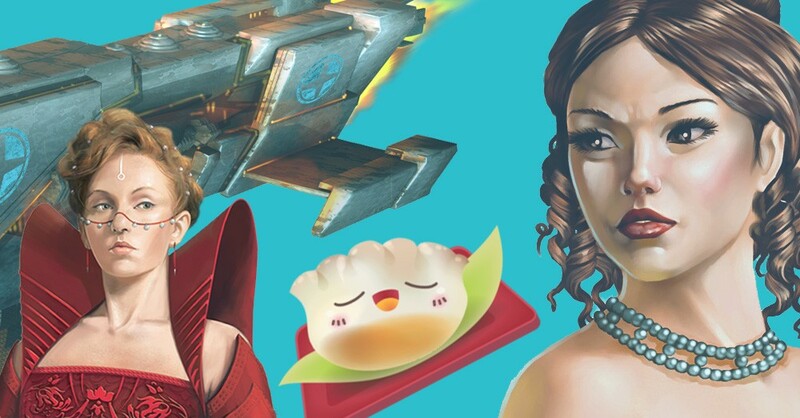 As I get older (and creakier), my desire for anime versions of things ever more rapidly approaches zero, while Descent has more than adequately scratched my adventuring itch. Am I being a grouch? Probably. Bite me. Quinns: No thanks, I just ate. But I have good news for fans of Arcadia Quest! I’ve actually just received a copy in the mail, and this box is now sat, as big and squat as a bullfrog, near the top of my review stack. 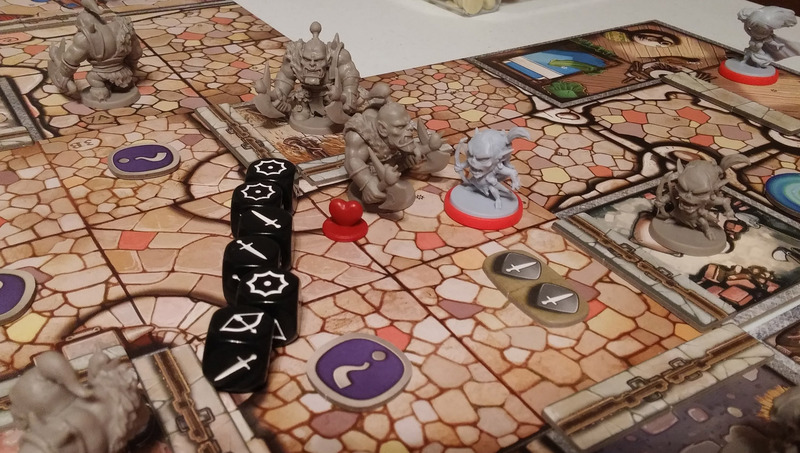 Expect some published thoughts on Arcadia Quest on the site very soon indeed. Matt: I’m unsure if it’s nostalgia for my Best Ever Lies, but Avalon is probably still my favourite Hidden Roles ‘n’ Traitors game. It lacks the accessibility of One Night Werewolf or the speedy elegance of the mighty Coup, but Avalon with a good group is something so special. It’s frustrating in some ways that the game only truly sparks to life when you add a larger complement of additional rules. Who is Merlin? Who is PRETENDING to be Merlin?! What’s going on with the lady of the lake? Is she seeing anyone? If I write my phone number on this sword, will you throw it into the lake for me? Would that be weird? 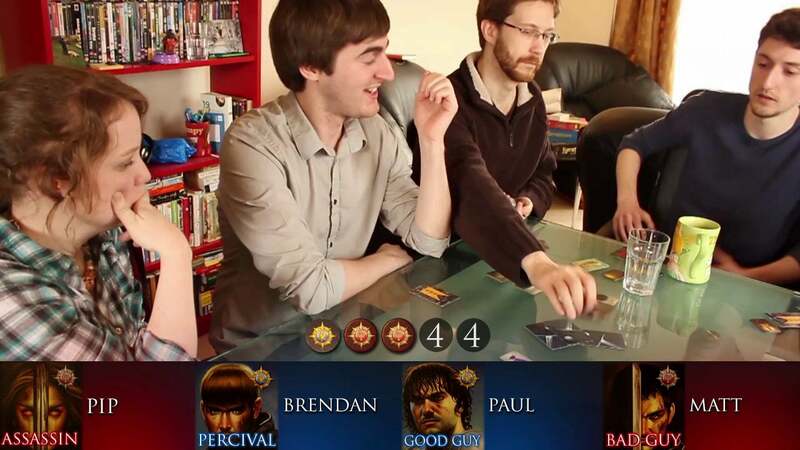 It’s a great shame that the full rules explanation for the full-fat experience is just a tad too long – Avalon is a game that everyone should play, but it’s far too easy to lose the crowd around “Percival”. I mean, fair enough. PERCIVAL. Quinns: Haha. Yeah, the instant you start a sentence with “Now, as for OBERON,” you see six or seven pairs of eyes immediately glaze over. 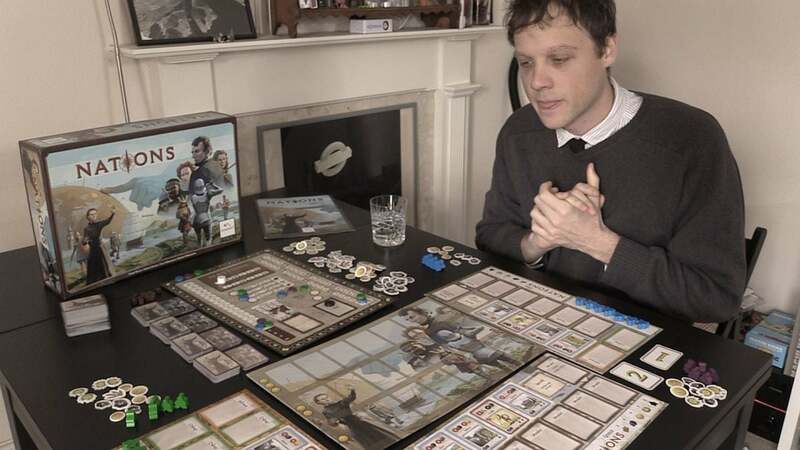 Paul: We’ve played a lot of Avalon over the years and perhaps worn it out, learning where it works and where it doesn’t (ten players, for example, is far too many for responsibilities to rotate enough), but we have some fond memories. It’s still a good introduction to bluffing and deduction and a fine game in its own right but, for me, it’s been thoroughly supplanted by the likes of Spyfall and Dead Last. Quinns: Yeah, or even One Night Ultimate Werewolf. I feel like now the thrill of “lying to friends” has been eroded away a little bit, I just want games that do it faster. 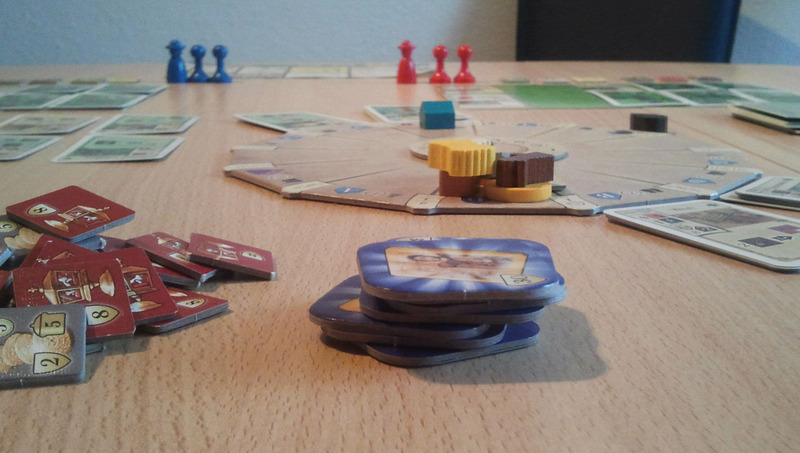 Paul: One of the lovely quirks of the BGG top 100 is that several games are repeated. A new version comes out, smoothing and improving, but the old version lives on, a shallow husk in the game collections of yore. 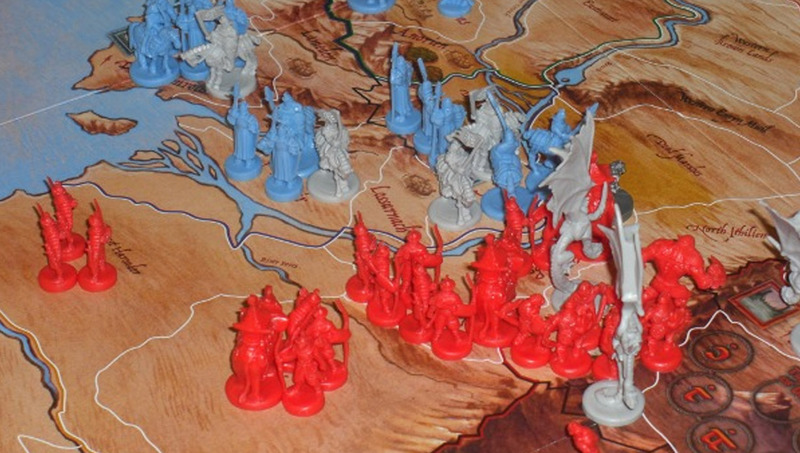 War of the Rings is one such husk, so we’ll be talking about it later! Quinns: Hmm. It feels a bit weird have Descent in here when Imperial Assault is such a clever refinement of the same game. But then I guess that’s one of the problems with a data-driven top 100 as opposed to a curated list. When a better game comes along that “kills” its predecessor, there’s no way to remove the first game from the list. It just hangs around, like an old drunk at a bar. Not that Descent 2nd edition is an old drunk at the bar (yet). Descent 1st edition definitely is, though. I have to remind myself that the first Descent’s campaign was thousands of hours long, with a metagame on the world map where the overlord could raze whole cities to the ground. It was idiotically ambitious. Come to think of it, I guess in terms of sheer scale it was the predecessor to Kingdom Death: Monster and Gloomhaven. Paul: The Canadian Granddaddy of dexterity flicking games. Without it we wouldn’t have SU&SD favourites like Catacombs or Flick ’em Up! 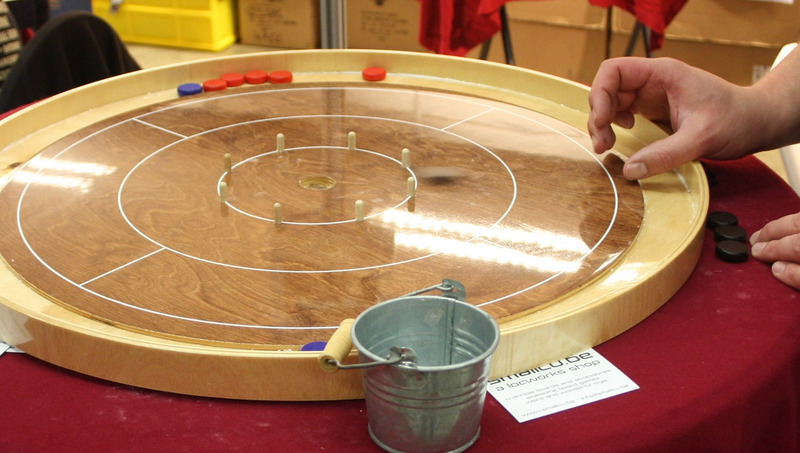 In Crokinole you flick your wooden disk into the bullseye for maximum points, avoiding the pegs and careening off the other player. It’s more-or-less curling at a tiny scale, with more pegs and less rubbing. A great test of dexterity and fingernail fortitude that explains the hardiness of all Canadians. Quinns: I played this once and after losing two games I think I was possessed by the spirit of a venerable Crokinole champion. For at least 10 minutes I made every shot I took while my friends howled in fury and disbelief. It might be the best thing that’s ever happened to me? Matt: More of an eccentric than anything, for my money – there’s a real joy to be found here in the simple practice of building dumb castles. They never come out like you’d hope, and there’s something about that in this particular game that’s almost as heartbreaking as it is funny. Because gosh I want my pretty garden to be just right and oh no it’s surrounded by brick walls, oh no. Quinns: I like it, but I disagree with Paul’s semi-on-the-record first impressions article that says it’s better than Suburbia. I think I might need to try it with the expansion… ? Paul: I have a well known castle bias, but I tell you what… I do wish I could build more than just a ground floor and a basement. Paul: This is Suburbia, but funnier and better and funnier and it has castles in and you can have a mold room next to your secret lair. Like Suburbia, it’s a game of laying tiles next to one another to gradually build a stony home. Surrounding certain rooms, or putting particular things next to each other, gives you bonuses or sometimes even penalties. The piano room is noisy right next to a bedroom. The kitchen will work best down the hall. Unlike Suburbia, however, nothing is a hex and rooms are all sorts of shapes and sizes, meaning you create wonderful and dreadful and downright stupid places to live, the kind of castles that are drawn by a seismograph that a) just became sentient and b) just discovered alcohol c) just joined the navy to practice carrier landings in rough weather. Matt: Monks and leeks and the endless cost of war. 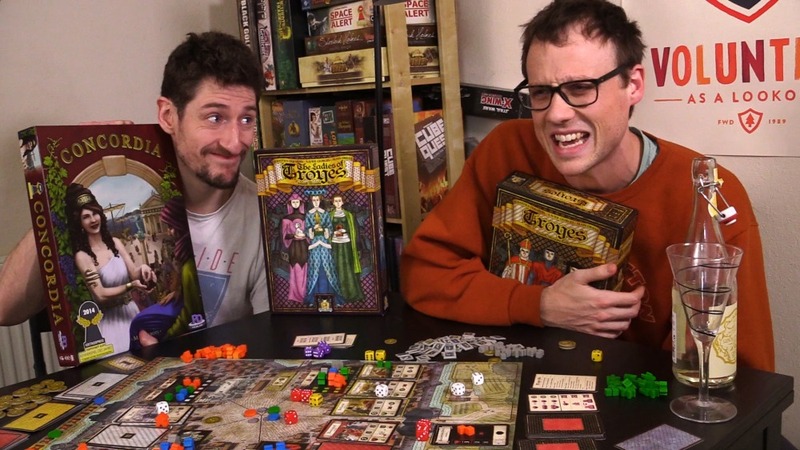 I never did manage to get my head around how to be good at Troyes, but it certainly didn’t seem to revolve around throwing all of your money at WAR. But that’s quite nice, I quite like that. Unusually gorgeous and constantly tactile, we were really impressed by this one when we recently reviewed it. Nicking dice off your mates whilst praying they don’t buy yours is just lovely. Matt: With or without the addition of ladies it’s an unusually dynamic and aggressive little Eurogame trapped in the body of a dead history teacher. Shut Up & Sit Down Recommends Troyes. Even the art style grows on you once you’re playing – the wood-carving aesthetic, traditionally wonky drawings of humans, minimal but strong use of colour. 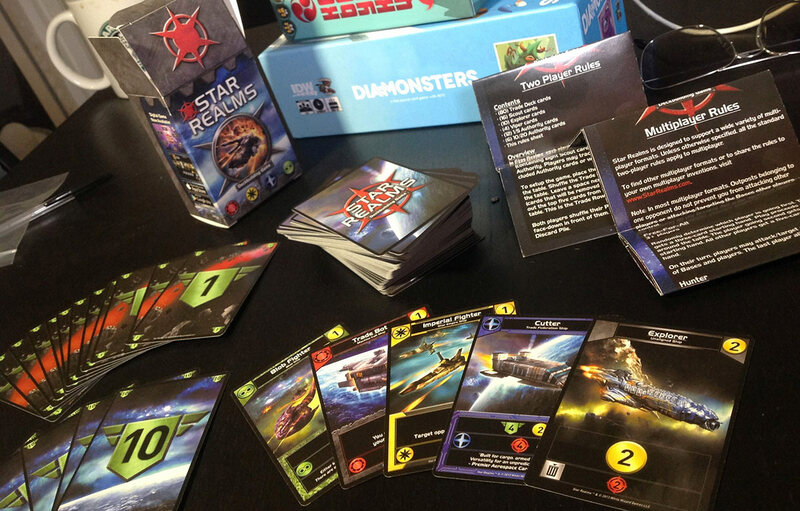 It’s a style that feels iconic, readable, clean – very much unlike the detailed textural approaches or chunky ‘n’ colourful styles that most board games go for, and the dice and cards pop cleanly off the more muted board. Quinns: Seriously? Paul, didn’t you play this and say it was kind of bobbins? The users of Board Game Geek are saying it’s the 53rd best game of all time, or 340 places higher than Chess. Matt: It does sound like the name of an unloved Pokémon. Paul: Oh BOY what is this doing UP HERE? 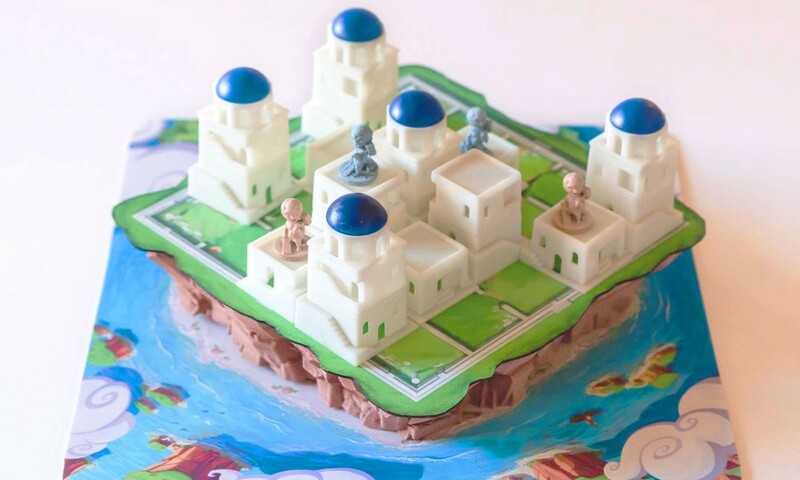 Now, don’t get me wrong, Santorini is charming and pretty and finely crafted, but to see it within leaping distance of the top fifty board games ever? It’s a straightforward, slightly abstract logic game with a few randomisers and special powers that you can toss in, but that’s it. I had a nice time with it and it’s very sweet, but I think this is a case of cuteness winning out over clout. 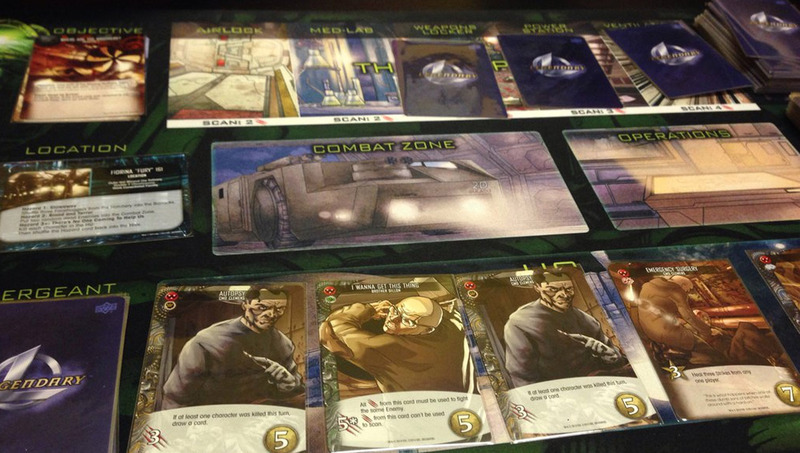 Matt: There are few gaming memories I hold dearer than the evenings spent trying to crack Pandemic’s puzzle. It’s too easy to retrospectively forget about that once you’ve sussed it out – to undermine the value of our own personal journey in favour of telling ourselves that we’re clever and we beat it and it no longer holds interest. Until the point at which you understand the systems, it retains all the enigmatic stress of a Rubik’s cube holding your grandmother at gunpoint, and frankly that needs to count for something. Paul: Ho ho ho. Pandemic. We’re all winking at each other here, aren’t we, because we know what’s really coming. Pandemic is a fine introduction to co-operative play, but for me it’s too vulnerable to one or two players taking over and solving everything. And it’s been supplanted. So thoroughly supplanted. Quinns: Pandemic is just a really good puzzle. It’s not a particularly deep one, so very sensible tactics (if not solutions) rise to the surface of its petri dish after just a few plays, but what Pandemic lacks in obscurity it makes up for in accessibility. Absolutely anybody can play this game, because this apocalypse of gelatinous cubes you’re all staring at is so marvellously visual, the theme is intriguing to all, and as a nice bonus it’s every bit as much fun with two, three or four players. It’s a perfect game for couples. Just think! You. Your loved one. A cheap bottle of wine and a simulated apocalypse. Bliss.